The Invasion of Gaza: Part of a Broader US-NATO-Israel Military Agenda. Towards a Scenario of Military Escalation? On November 14, Hamas military commander Ahmed Jabari was murdered in a Israeli missile attack. In a bitter irony, barely a few hours before the attack, Hamas received the draft proposal of a permanent truce agreement with Israel. The targeted assassination of Ahmed Jabari was followed by an extensive bombing campaign under Operation Pillar of Cloud. The latter consists of a carefully planned military endeavor. F-16 fighter planes, Apache helicopters and unmanned drones were deployed. Israeli naval forces deployed along the Gaza shoreline were involved in extensive shelling of civilian targets. Israel’s defense minister Ehud Barack has confirmed a scenario of military escalation, blaming Palestine for having committed acts of aggression: . The Israeli attacks were followed by the firing of dozens of rockets by Hamas against Israel. Palestine’s response was known to Israeli war planners. The resulting Israeli civilian casualties are now being used to justify military escalation on humanitarian grounds. What we are dealing with is a carefully planned operation, a clear act of provocation. The deaths of Israeli civilians (envisaged and foreseen by IDF military planners) are being used to muster the support of the Israeli public. Meanwhile, the Israeli attack is casually portrayed by the Western media as part of a legitimate counter-terrorism agenda. The attack on Gaza must be understood in relation to the broader Middle East war. The Israeli attack was approved by president Obama. It has a direct bearing on US-NATO-Israeli war plans pertaining to Lebanon, Syria and Iran. The timing is of utmost significance: one week following the US presidential elections. Operation Pillar of Cloud is a deliberate act of provocation, intended to lead to military escalation. The Israeli public is firmly opposed to a broader Middle East war including the conduct of Israeli surgical strikes directed against Iran’s nuclear facilities. Is the attack on Gaza a trigger mechanism which could lead the World into a broader Middle East war? We are not dealing with an isolated event. The invasion of Gaza is part of the broader US-NATO-Israel military agenda. “Israel used this distraction to break the ceasefire between itself and Hamas by bombing the Gaza strip. Israel claimed this violation of the ceasefire was to prevent Hamas from digging tunnels into Israeli territory. The very next day, Israel launched a terrorizing siege of Gaza, cutting off food, fuel, medical supplies and other necessities in an attempt to “subdue” the Palestinians while at the same time engaging in armed incursions. On December 8, US Deputy Secretary of State John Negroponte was in Tel Aviv for discussions with his Israeli counterparts including the director of Mossad, Meir Dagan. “Operation Cast Lead” was initiated two days day after Christmas. It was coupled with a carefully designed international Public Relations campaign under the auspices of Israel’s Foreign Ministry. Hamas’ military targets are not the main objective. Operation “Cast Lead” is intended, quite deliberately, to trigger civilian casualities. A turning point has been reached. Operation “Cast Lead” is part of the broader military-intelligence operation initiated at the outset of the Ariel Sharon government in 2001. It was under Sharon’s “Operation Justified Vengeance” that F-16 fighter planes were initially used to bomb Palestinian cities. “Operation Justified Vengeance” was presented in July 2001 to the Israeli government of Ariel Sharon by IDF chief of staff Shaul Mofaz, under the title “The Destruction of the Palestinian Authority and Disarmament of All Armed Forces”. “A contingency plan, codenamed Operation Justified Vengeance, was drawn up last June  to reoccupy all of the West Bank and possibly the Gaza Strip at a likely cost of “hundreds” of Israeli casualties.” (Washington Times, 19 March 2002). According to Jane’s ‘Foreign Report’ (July 12, 2001) the Israeli army under Sharon had updated its plans for an “all-out assault to smash the Palestinian authority, force out leader Yasser Arafat and kill or detain its army”. “Operation Justified Vengeance” was also referred to as the “Dagan Plan”, named after General (ret.) Meir Dagan, who currently heads Mossad, Israel’s intelligence agency. The Dagan Plan has established continuity in the military-intelligence agenda. In the wake of the 2000 elections, Meir Dagan was assigned a key role. 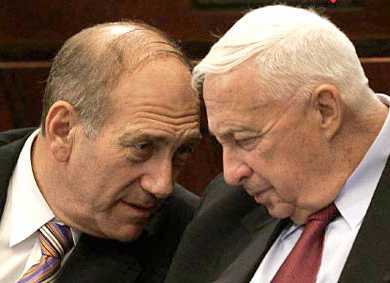 “He became Sharon’s “go-between” in security issues with President’s Bush’s special envoys Zinni and Mitchell.” He was subsequently appointed Director of the Mossad by Prime Minister Ariel Sharon in August 2002. In the post-Sharon period, he remained head of Mossad. He was reconfirmed in his position as Director of Israeli Intelligence by Prime Minister Ehud Olmert in June 2008. Meir Dagan, in coordination with his US counterparts, has been in charge of various military-intelligence operations. It is worth noting that Meir Dagan as a young Colonel had worked closely with defense minister Ariel Sharon in the raids on Palestinian settlements in Beirut in 1982. The 2009 ground invasion of Gaza, in many regards, bear a canny resemblance to the 1982 military operation led by Sharon and Dagan. 1. The assassination in November 2004 of Yaser Arafat. This assassination had been on the drawing board since 1996 under “Operation Fields of Thorns”. According to an October 2000 document “prepared by the security services, at the request of then Prime Minister Ehud Barak, stated that ‘Arafat, the person, is a severe threat to the security of the state [of Israel] and the damage which will result from his disappearance is less than the damage caused by his existence'”. (Tanya Reinhart, Evil Unleashed, Israel’s move to destroy the Palestinian Authority is a calculated plan, long in the making, Global Research, December 2001. Details of the document were published in Ma’ariv, July 6, 2001.). The assassination of Arafat was part of the 2001 Dagan Plan. In all likelihood, it was carried out by Israeli Intelligence. It was intended to destroy the Palestinian Authority, foment divisions within Fatah as well as between Fatah and Hamas. Mahmoud Abbas is a Palestinian quisling. 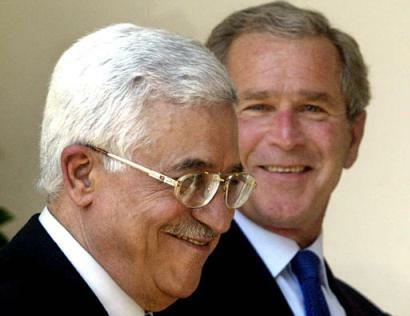 He was installed as leader of Fatah, with the approval of Israel and the US, which finance the Palestinian Authority’s paramilitary and security forces. 2. The removal, under the orders of Prime Minister Ariel Sharon in 2005, of all Jewish settlements in Gaza. A Jewish population of over 7,000 was relocated. The issue of the settlements in Gaza was presented as part of Washington’s “road map to peace”. Celebrated by the Palestinians as a “victory”, this measure was not directed against the Jewish settlers. Quite the opposite: It was part of the overall covert operation, which consisted in transforming Gaza into a concentration camp. 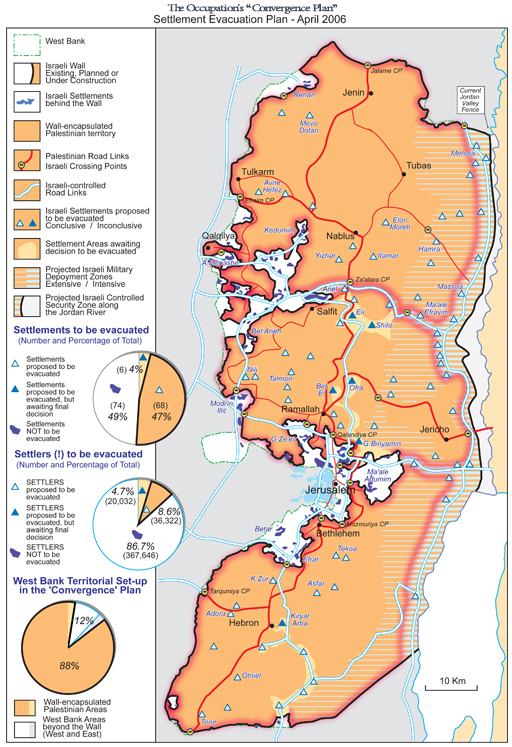 As long as Jewish settlers were living inside Gaza, the objective of sustaining a large barricaded prison territory could not be achieved. The Implementation of “Operation Cast Lead” required “no Jews in Gaza”. 3. The building of the infamous Apartheid Wall was decided upon at the beginning of the Sharon government. (See Map below). 4. The next phase was the Hamas election victory in January 2006. Without Arafat, the Israeli military-intelligence architects knew that Fatah under Mahmoud Abbas would loose the elections. This was part of the scenario, which had been envisaged and analyzed well in advance. With Hamas in charge of the Palestinian authority, using the pretext that Hamas is a terrorist organization, Israel would carry out the process of “cantonization” as formulated under the Dagan plan. 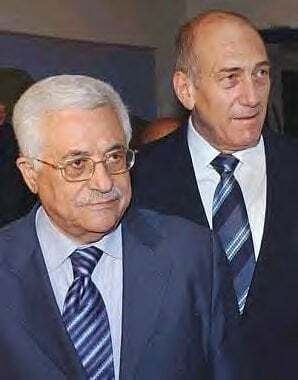 Fatah under Mahmoud Abbas would remain formally in charge of the West Bank. The duly elected Hamas government would be confined to the Gaza strip. Israeli sources have pointed to a lengthy drawn out military operation. It “won’t be easy and it won’t be short,” said Defense Minister Ehud Barak in a TV address. The broader question is whether Israel in consultation with Washington is intent upon triggering a wider war.